The latest high-tech development in scissor production uses Nano powder (extremely small particles) and powder metallurgy to produce scissors of unprecedented strength and sharpness. 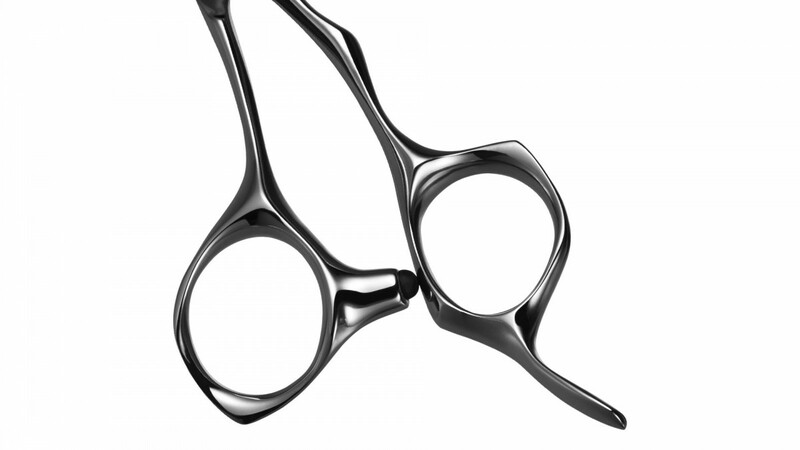 Combined with the superior ACRO ergonomic design and the ACRO TYPE-Z could be the best scissor you will ever own. 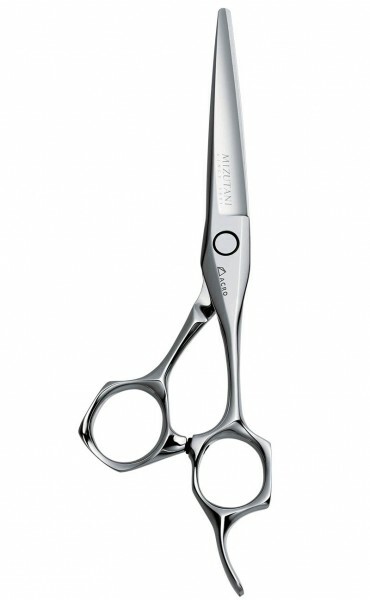 The ACRO TYPE-Z1 is produced with the sharpest cutting angle in the Mizutani line, resulting in perfectly straight lines and absolute precision in detail cutting.For stylists who strive for perfection. It is commonly known that many women experience the nagging problem of split ends. This begs the question: What if it’s our scissors that is causing this problem? 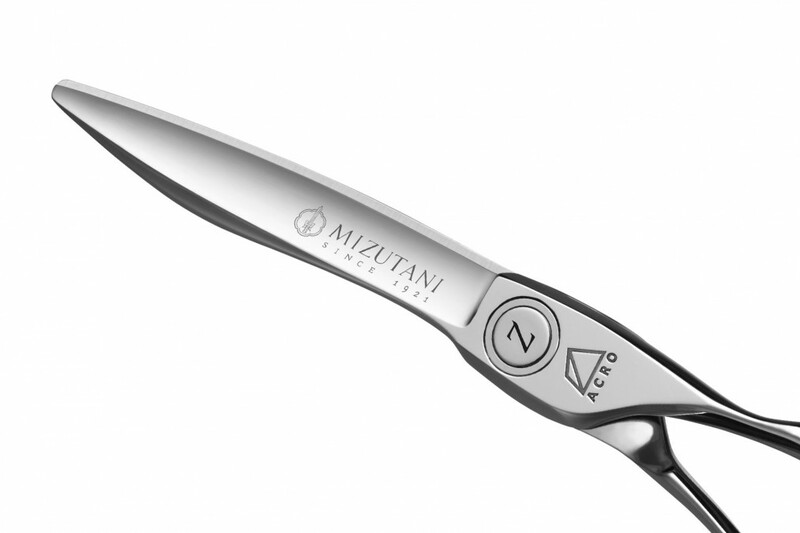 Asking ourselves this question motivated Mizutani’s product development team to gain a better understanding of hair when it is being cut using scissors. First, we examined actual hair to elucidate the mechanisms of cutting it with scissors. 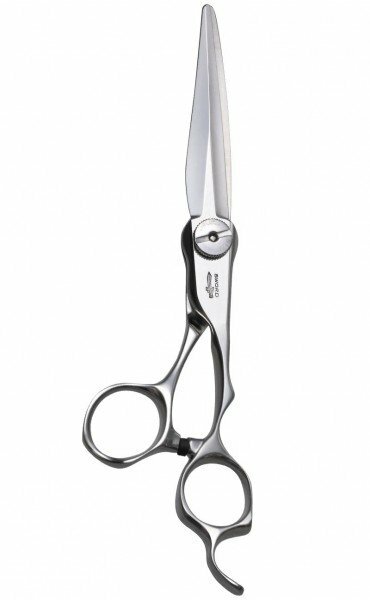 Eventually, we started to ponder an idea: “Is there any way that scissors can create a clear-cut cross-section without damaging hair?” The key words here were “cutting edge angle,” “hardness,” and “materials,” regarding the blade. 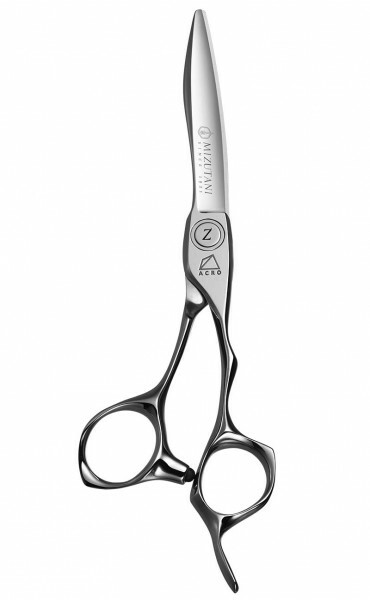 We then found, as the examination proceeded, that a “cutting edge angle that makes it easy to cut into hair” is essential for creating an excellent haircut. If the blades of conventional scissors, however, are sharpened too much, they cannot hold their edge well and become easily blunt. Under this tough condition, Mizutani came up with a material now known as “Nano Powder Metal” (NPM), which is produced using a special manufacturing process called HIP (Hot Isostatic Pressing). This nano-scale fine powder steel is made by fusing uniform particles at high temperature and pressure, thus it has extremely low impurity and inclusion levels. Currently, this material property is applied to manufacturing high-precision industrial equipment that is required to be impurity-free, such as Blu-ray disc molds (photo, right). 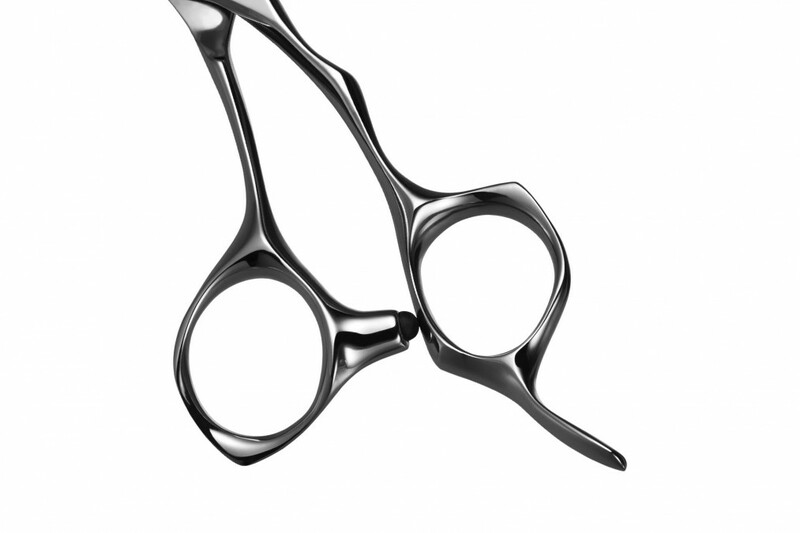 Our new haircutting scissors, the ACRO Z, has been developed making strong use of Nano Powder Metal (NPM) made from uniform fine particles. 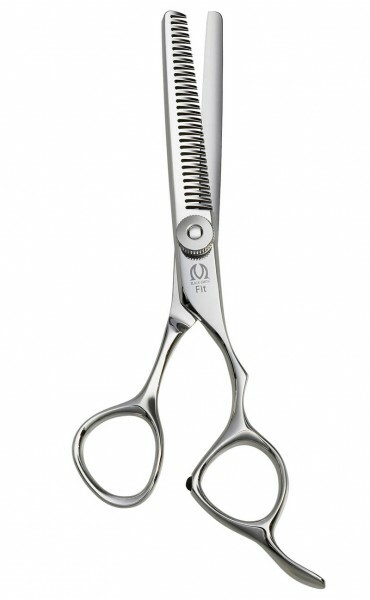 Making a sharp cutting edge possible, we are proud to present a product that can dramatically reduce split ends, while also exhibiting great durability and hair-friendliness.